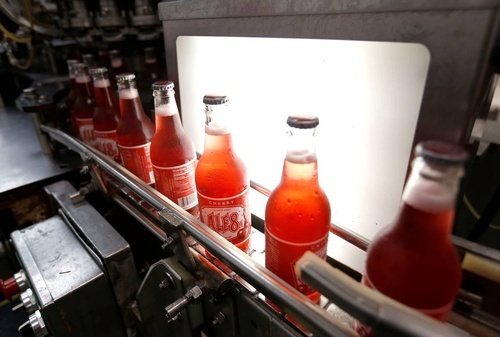 Ale-8-One has a storied history that dates back to 1926. The company's founder and inventor G.L. Wainscott was an unconventional man with innovative ideas. After bottling soda and flavored drinks in Winchester, KY for many years, G.L. Wainscott developed Ale-8-One formula with its unique ginger taste. The product was launched July 13, 1926, and Wainscott sponsored one of the first product naming contests at the Clark County (Kentucky) Fair. ''A Late One,'' the winning entry was a pun adopted for its description as the latest thing in soft drinks. To this day, the company continues to be locally owned and family operated by G.L. Wainscott's great-great-nephew, Fielding Rogers. He still mixes up the closely guarded family secret Ale-8 recipe using Wainscott's hand written notes.